There’s a number of great flea treatments available for your cat; tablets, sprays, collars. Call us to discuss the many options we have to offer. Fleas really are a pest for cats in Australia. Left untreated, your animal, and home, can quickly become infested. Once on your cat, they breed and lay eggs fast. They not only irritate your cat but they can also cause infections and anaemia. Preventative treatments work best as they stop the fleas from multiplying but we also have a number of treatment options for an already affected cat. How do fleas affect my cat’s health? Signs that your cat may have fleas include scratching, redness of skin or obvious signs of flea dirt. It is likely that you will see fleas running over your cats skin. 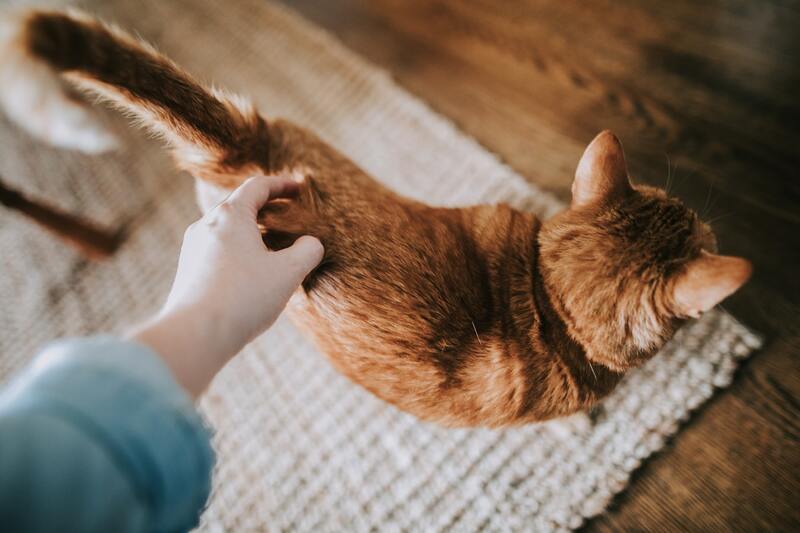 The best place to inspect your cat for signs of fleas is at the base of their tail, on their belly or in their groin area.